Father Bob Cushing and Bishop Joseph Kopacz outside of the Federal court in Brunswick, GA.
On January 18, 2019, the Kings Bay Plowshares filed supplemental briefs with the US Federal Court in Brunswick, Georgia in response to U.S. Magistrate Judge Benjamin Cheesbro, who ordered the supplemental briefings after the Evidentiary Motions hearing back on November 28. Each defendant filed a common explanation as the first part of their filings, then arguments particular to each defendant in the second parts. On November 7th the Kings Bay Plowshares 7 and around 35 supporters spent nearly 9 1/2 hours in Federal court in Brunswick, GA. It was the first day of a motions hearing to argue the Religious Freedom Restoration Act (RFRA) . They contend that the three felony and one misdemeanor charges the seven face for their trespass into the Kings Bay Trident nuclear submarine base on April 4th are an unfairly excessive burden on their religious practice. They ask that the charges be dismissed or reduced. After 7pm Judge Benjamin Cheesbro adjourned the hearing to a future date which has now been set for November 19, at 9am. Two expert witnesses testified on how prophetic and sacramental nonviolent disarmament actions at a nuclear weapons site, such as the Kings Bay Plowshares 7 action was, is in alignment with Catholic social teachings. 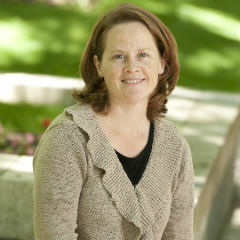 Jeannine Hill Fletcher, a Fordham University Theology Professor, reviewed Catholic social teachings from writings of Popes and the 2nd Vatican Council. After referring to Pacem in Terris and Gaudium et Spes which condemn the use of nuclear weapons, she pointed to Pope Francis' statement in 2017 that "The threat of their use, as well as their very possession, is to be firmly condemned." She also spoke about the primacy of conscience going back to the 13th century teachings of Thomas Aquinas. She noted that Pacem in Terris affirms that, "laws and decrees passed in contravention to the moral order, and hence of the divine will, can have no binding force in conscience. Bishop Joseph Kopacz from Jackson, MS, also spoke to the primacy of conscience having led the 7 to extraordinary action fully consistent with Catholic teaching. The 1983 Peace Pastoral allowed for the possession of nuclear weapons for only a short time as a temporary step toward disarmament, but now after over 30 years nothing has happened. Actions, like the Plowshares "spiritual special ops team" have a chance of making change. Jesuit Father Steve Kelly, his jailhouse shackles clanking as he crossed to the witness stand, testified that their action was religious, and constituted preaching the word of God that nuclear weapons are sinful. "This is very, very much a crisis, not only of existence," he said of their message to base personnel, "but your souls are in danger." Codefendant Clare Grady emphasized that her action was "nonviolent symbolic disarmament.” She movingly told of her upbringing in a faithful and activist family informed by Catholic social teaching. Captain Brian Lepine, Commander of Naval Station Kings Bay, testified for over two hours and repeatedly refused to acknowledge the existence of nuclear weapons on the Trident submarines at their homeport at Kings Bay. Patrick O’Neill, and Liz McAlister will testify at the next hearing on November 19, 2018. After years of prayer and discernment, listening deeply to the call of conscience and the prophetic call of the Gospel, these courageous Catholics set forth to make sacred what had been profaned. As Catholics, we take seriously the message of the Bible that the earth and all its creatures are God’s (Psalm 24:1). But the chain-link fence of the Kings Bay Trident Naval Base stands as a visible sign that some among humanity claim that they can determine the future and fate of the earth and all its creatures. In prophetic and sacramental witness, the Kings Bay Plowshares cut through the false security of the chain-link fence to make present for all who have eyes to see, the false security of nuclear weapons. For it is God alone who has the power to give life and to take it away; and it is at the heart of the Catholic faith that God alone is our security. The Kings Bay Plowshares were compelled by their faith to undertake a sacramental action that would consecrate what had been desecrated, by the sprinkling of blood and the prophetic reminder of the heart of the Gospel, spray-painting the prophetic message: Love Thy Neighbor. In accordance with the teaching of Jesus found in the New Testament, the Catholic Christian tradition places one law above all others: you shall love God and love your neighbor as yourself. The maintenance of nuclear warheads is in direct violation of this law. Catholic Social Teaching has named nuclear weapons such as those housed at Kings Bay Naval Base as “offenses against humanity and the common good” (Holy See, “Nuclear Disarmament: Time for Abolition” (2014). The documents of Vatican II named the use of any weapons “aimed indiscriminately at the destruction of entire cities of extensive areas along with their population” as “a crime against God and [humanity]” that “merits unequivocal and unhesitating condemnation.” (Gaudium et Spes, #80) In the words of Pope Francis “The threat of their use as well as their very possession is to be firmly condemned.” The principles of Catholic Social Teaching demand Catholics denounce unjust laws which compromise the dignity of each human person, destroy the common good, fail in our stewardship of the earth, global solidarity and the promotion of peace. Catholic Social Teaching has denounced nuclear weapons as contrary to the principles of the faith. The defendants were motivated by deeply held religious beliefs and have acted in accordance with Catholic Social Teaching and the prophetic call of the Christian tradition. BRUNSWICK, GA – The Kings Bay Plowshares evidentiary hearing regarding the Religious Freedom Restoration Act has concluded after a second full day of testimony November 19. Five of the seven defendants testified at the hearing on Monday. The activists are facing three felony charges and one misdemeanor charge with a possible 25-year sentence. They were arrested April 5 at Naval Station Kings Bay on the Florida border as part of their protest against Trident submarines and the D5 missiles they carry. The seven Plowshares activists are asking the court to dismiss their charges because the government failed to offer them the least-restrictive means of resolving the charges against them. Monday’s hearing was the conclusion of two days of testimony regarding the RFRA. The defendants explained their “deeply held religious beliefs,” and how their practice of their religion has been burdened by the government’s response to their actions. The RFRA requires the government to take claims of sincere religious exercise seriously. Defendants Fr. Steven Kelly, S.J. and Clare Grady gave their testimony Nov. 7. In addition to the remaining five co-defendants testifying Nov. 19, the prosecution called its second of two witnesses, a civilian communications official for the base. After the testimonies, Magistrate Judge Benjamin Cheesbro denied motions from several co-defendants requesting a lessening of their bond restrictions, including removal of ankle monitors for the five defendants who are released on bond. They challenged the government’s contention that the five are a “danger to community safety.” Kelly and Elizabeth McAlister remain incarcerated in the Glynn County Detention Center. In their testimonies throughout the day several defendants noted that the Trident nuclear weapons are the greatest threat to all of God’s creation. O’Neill said the real sin present at Naval Station Kings Bay are the Trident II D-5 nuclear missiles on the Ohio-class submarines for which the base serves as the home port. It is not known when Judge Cheesbro will make his ruling following this hearing. The parties have 20 days to file additional written arguments. If he rules against the defendants’ motion to dismiss a date will then be set for their trial. The Plowshares movement began in the early 1980s and advocates active resistance to war usually involving symbolic protest and the damaging of weapons and military property. There have been about 100 Plowshares protests worldwide.